Talent is there to be developed. This requires, among other things, time, concentration and the opportunity for experimentation. To make this space possible the Creative Industries Fund NL offers working grants through the Talent Development Grant Programme. The deadline for applying for the 2020 working grants is 6 March 2019. Talented designers and makers – ranging from young and just starting out to older and more experienced – are eligible for the talent development grant. The working grant gives you a whole year to determine your direction, invest in knowledge development, expand your network and work on the professionalization of your practice. The Fund's website contains a lot of information about all the different programmes, including Talent Development. Here you will find all kinds of useful documents such as the Subsidy Regulations and the Grant Programme for Talentdevelopment. So before you start an application, take a moment to read all the basic information. Self-reflection is important anyway, especially when developing a proposal for a grant application. Ask yourself questions about your concept and what you are adding to your profession. Additionally, make sure you have a good motivation; this is something the committee members attach great importance to. Ask yourself why your project is necessary, for yourself, for the profession, for the world. And make sure you make this clear in your application. To hone your proposal, reactions from outsiders and/or colleagues can be very valuable. Discuss your proposal with them, ask for feedback and focus on where you want to go. Applications are evaluated by the committees on the basis of the information contained in the application. So make sure it is complete and don't forget any details. What is clear to you is not necessarily clear to others, especially if they do not know you and/or your work. Knowing how to communicate your plans and ambitions well is half the battle. 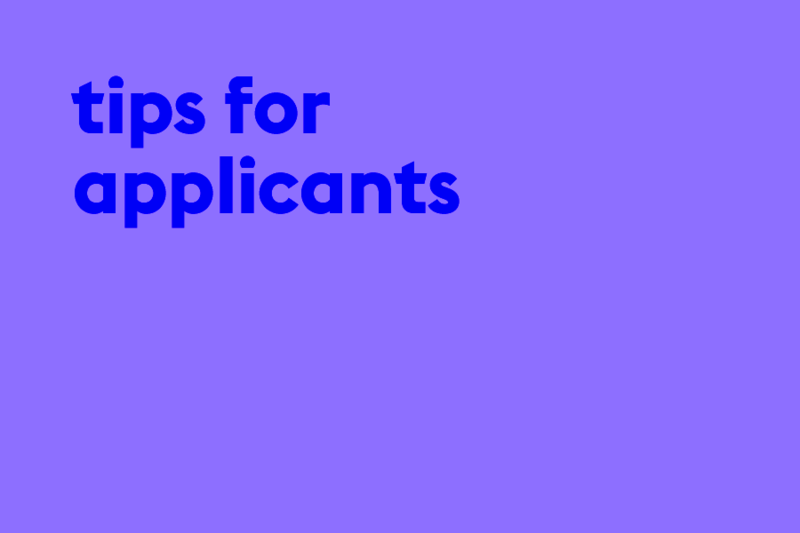 Make sure your application is clear and well-written. Make sure that the ambitions you formulate in your motivation letter fit in with your portfolio. If necessary, have someone check it. Being critical of yourself is good. But being too critical has an inhibiting effect. So do not disqualify yourself in advance.. If your proposal is rejected, realize that everyone is judged on their own merits, but of course you always have to deal with the competition. Especially in over-subscribed rounds, this can be decisive. Don't be afraid of a rejection. You sometimes have to wait a while, but there is always a new opportunity to submit a subsidy application.